Maruti Suzuki Alto K10 has been bestowed with the power windows function in its front windows only, that too only in the VXI variants (out of a total of 6 including the LX and LXI variants). Given its pricing, the company thought it appropriate to avoid equipping all windows with this function. Nevertheless, the front windows too play their roles in extending the comfort factor to the front riders. This comes in handy, especially at the toll gates when sudden opening of the driver’s window becomes all the more important. However, the absence of this function in the rear windows can be a cause for concern, especially when children are the riders. For they can fiddle with the manual knob and open the windows inadvertently, putting out a part of their bodies, thus inviting trouble, all without the knowledge of the driver. Also, other compact hatchbacks, like our reviewed one, sport the power windows function – either in the front or all the windows depending upon the trim. However, the siblings of Alto K10, Celerio and Wagon R, not to forget Hyundai i10 – only the high-end trims, feature the power windows function in all their windows. 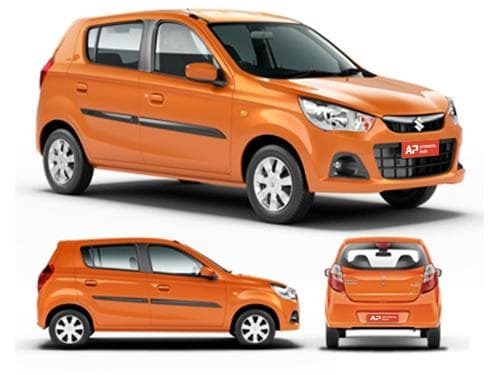 The variants of Maruti Suzuki Alto K10 that offer power windows as standard include VXI, VXI (O), VXI AGS (O). The variants of Maruti Suzuki Alto K10 that do not offer power windows as standard include LX, LX (O), LXI, LXI (O), LXI CNG (O).